Are you tired of suffering and ready to get help? Would you like to get the to the root of the problem, instead of just trying to cope? Are you interested in a more holistic approach to your wellbeing? You have come to come to the right place. In my psychotherapy practice, my passion is helping you succeed and feel better fast often without medication. If you have severe trauma, PTSD, OCD, anxiety, depression, trichotillomania, fear of public speaking, test anxiety, panic disorder, business anxiety or sports anxiety, we can work together to provide you with the opportunity to release your fears. I am certified in cognitive behavior therapy, exposure and response prevention and Emotional Freedom Techniques, aka, tapping. 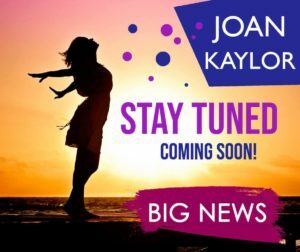 In 1996 Joan discovered Emotional Freedom Techniques (EFT), an energy-oriented therapeutic, coaching, and self-help technique based on the newly emerging field of energy psychology. The theory of energy psychology methods such as EFT is that the flow and balance of the body’s electromagnetic and more subtle energies are important for physical, mental, spiritual, and emotional health, and for fostering well-being. In psychotherapy sessions Joan works to get to the origins of your distress through counseling and then can offer energy techniques designed to help in alleviating the distress caused by negative thoughts and emotions. 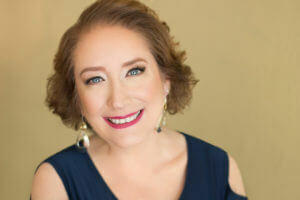 Joan is certified in energy psychology methods, including EFT, by the Association for Comprehensive Energy Psychology. Please read my Disclaimer for my psychotherapy and counseling practice. Have you been unable to find someone qualified to help you here you live? Would you prefer to meet over the internet in secure and private setting? Would you like me to come to you through phone or a secure site on the internet? Do you believe that we have the ability to heal our mind and body energetically? Then you have definitely come to the right place. In my coaching practice, I work with clients in a number of areas including, energy balancing for health and well-being, intuitive assessments, stress management, and life transitions. I am certified in a number of innovative energy-based coaching and self-help methods that are designed to restore the balance of energy within the body, mind, and spirit of the client. Please be advised I do not diagnose, treat, or manage psychological disorders in my coaching practice and only provide services as an Energy Wellness Coach and Consultant. Please read my Disclaimer for my coaching and consulting practice.